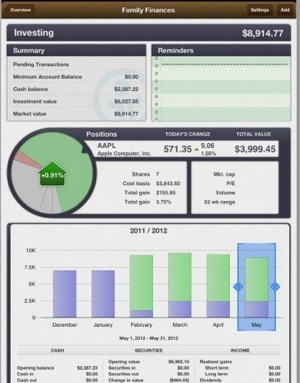 IBank For IPad App Now Available in the iOS Store. This IPad thing is not going away. If you’re like me – semi-retired and geeky – you sit around all day, reading and blogging, blogging and reading. And, with the evolution of the IPad, this makes life much easier and certainly more fun. I love my iMac but I am totally in love and married to my IPad. It’s the first thing I grab in the morning and the last thing I put away in the evening.